Buying a new home? Congrats! 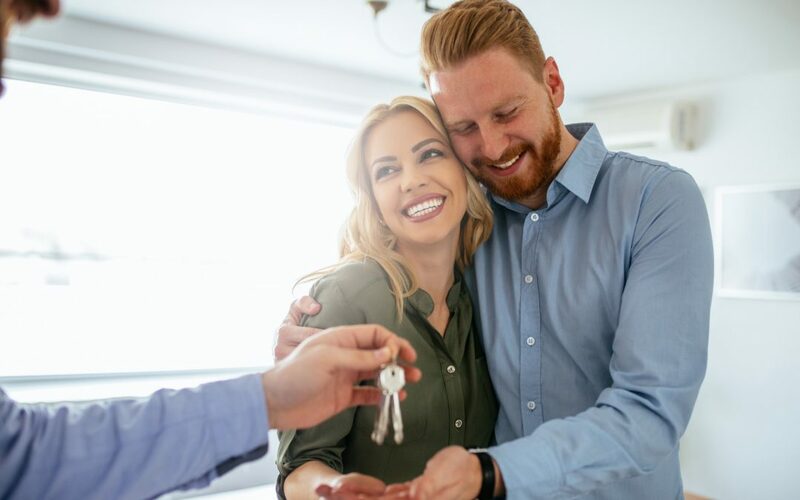 The process of purchasing a new home can be an exciting one but it’s also important to be careful and do your due diligence along the way in case it’s best for you to step away. In fact, Ohio sales decreased by about 5% since last year. This could be partially due to the fact that many home buyers are getting smarter about what the look for in an inspection and when it’s time to back out. Keep reading to learn when it’s time to walk away from your house purchase agreement. A foundation inspection doesn’t come with the general inspection. You’ll have to pay extra to have the foundation examined by a specialist and we highly recommend forking over the extra cash to do so. A missed problem with your foundation can cost ten’s of thousands of dollars and cause a major headache when it comes time to move into your new home. This is especially important to check if you live on a hillside or sloped land as the foundation and its structure will be that much more important and susceptible to shifting and damage. Once you bring in the specialist, go over the report thoroughly with them. Look for “failed” items as opposed “recommendations.” They aren’t the same thing. Failed items mean there is something that is not working currently and needs to be addressed ASAP. A recommendation could be a problem the inspector can foresee happening in the future if left untreated or code updates that haven’t been implemented yet. This inspector should be able to give you an estimate about how much any foundation repairs will cost so be sure to weigh it against what you’re willing to spend on fixes for your new house. If a foundation is seriously damaged and needs major repair, it’s probably best to save yourself the trouble and walk away. Termites are a common problem so the real question will be; how bad is the damage they’ve caused and how much will it cost to repair it? There are termite inspectors who will be able to provide you with this information. If you have termites, don’t get spoked right away. Those can be treated and it’s normal to have your home tested every 8-10 years and spot treat in between. However, if the home has been left untreated for years and the damage to the wood is severe, this means you’ll not only need to treat the infestation but replace all the damaged wood rot and it could put the structure of your home in jeopardy. Your sewer should be hydro jetted once a year to clean the pathways and ensure there is no blockage. This may be necessary when buying a home and not a reason to walk away. When you have your sewer inspection, the inspector will be able to tell you if any roots are growing into the sewer line or if there’s extensive damage in the pipes that guide the waste away. They’ll send a small camera down into the line to check things out and be able to give you a thorough report. If there is indeed major damage to the line or serious roots growing into it, the cost for repair could break the bank. If you have a serious sewer problem and aren’t able to shell out the money to fix it immediately or the owner isn’t willing to cover it in your request for repairs, you should walk away. This issue is a little harder to spot and an inspector may not be able to tell you if poor or shoddy workmanship exists in the home. After all, that’s not really their job. Their job is to tell you if things are functioning in the home or failing. Poor workmanship is when things appear to be working fine and look good at first glance, but take a deeper look and you can spot the shoddy job. This can look like anything from the countertops not fully aligning to poor electrical wiring and corner-cutting fixes or installations. You can pretty much assume that if it wasn’t installed or built correctly, it’s going to fail at some point and end up costing you more money. This is a total deal breaker for most people who discover it but the problem is many buyers don’t know there’s mold until it’s too late. Whatever you do, get a mold inspection. Again, this is a specialized inspection that will cost extra beyond the general inspector but it’s well worth it. They can test for moisture and do a thorough check to identify any water damage, leaks or mold growth. Mold grows inside the walls for the most part and is usually caused by untreated leaks so you won’t be able to see it with the naked eye. You’ll need a professional to catch it and create a report about how extensive the problem is. If the mold is confined to one area like a bathroom or kitchen and can be treated by cutting out the drywall, fixing the leak and repairing the wall, ceiling or floor, this is not a bad option. However, if the mold growth is serious, run, don’t walk, away. Once you begin your inspections, the seller will need to fork over the home disclosures. Don’t be afraid to ask questions. They should be upfront and honest with their answers. The disclosures should include anything the owner did to the house; repairs, renovations, etc. And it should also include any existing problems they know are occurring within the home. If you see that what your inspectors discover is contradictory to what’s in the disclosures, you could have a real issue. This would signal that the seller was not honest about what they included in the disclosure and you can bet they’re hiding more than they let on. Do You Need to Back Out of Your House Purchase Agreement? Escrow isn’t over until the closing date and if you back out of your house purchase agreement before you lift the inspection contingencies, you won’t lose anything except your inspection costs. Always remember to go with your gut and if something seems like it’s already a big problem, if left untreated, its magnitude and cost will likely only increase. Reach out today to schedule an inspection to be sure you have all the information necessary to make an informed decision about purchasing your home!